Minister of Finance issues Circular on the establishment and operation of securities companies. 1. 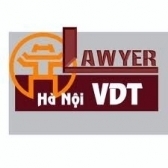 Scope of adustment: This Circular provides for the establishment and operation of securities companies in Vietnam. b). Organizations and individuals related to the establishment and operation of securities companies. 1. Securities company is the enterprise carrying on securities business, performing one, some or all of the business: securities brokerage, securities dealing, securities underwriting and securities investment consultation. 2. Securities practitioner is the person who has securities practice certificate, working in departments of securities brokerage, securities dealing, underwriting securities and securities investment consultation and has labor contract with securities companies. 3. Valid copy is a copy which is notarized or certified by a Vietnamese competent organization. 4. Valid dossier is dossier with complete papers as prescribed by this Circular and contents fully declared in accordance with regulation of the law. 5. Working capital is the difference between current assets and current liabilities at the time of calculation. 6. Consolidation is that two or more securities companies of the same type (hereinafter referred to as the consolidated securities company) are merged into a new securities company (hereinafter referred to as the consolidation securities company) by transfer all assets, rights, obligations and legal interests to the consolidation securities company at the same time terminating the existence of the consolidated securities company.